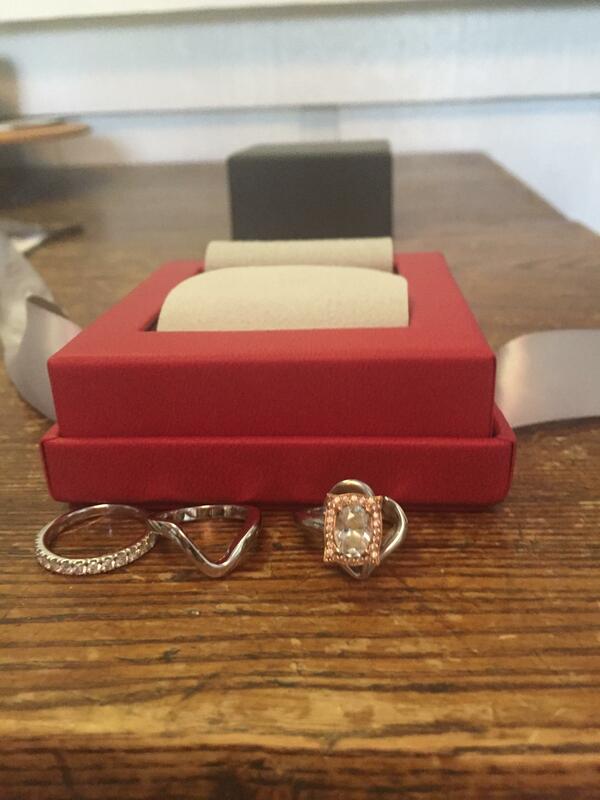 The diamong engagement ring is 14K white and rose gold customed designed by Reis-Nichols, Inc, featuring one(1) prong set oval brilliant cut diamond measuring 7.70 x 5.62 x 3.58mm, weighing 1.02 carat, F color, S12 clarity. The mounting features twenty-four (24) round brilliant cut diamonds measuring 1.0mm, weighing 0.12 carat total weight, E-F color, VS1-2 clarity. 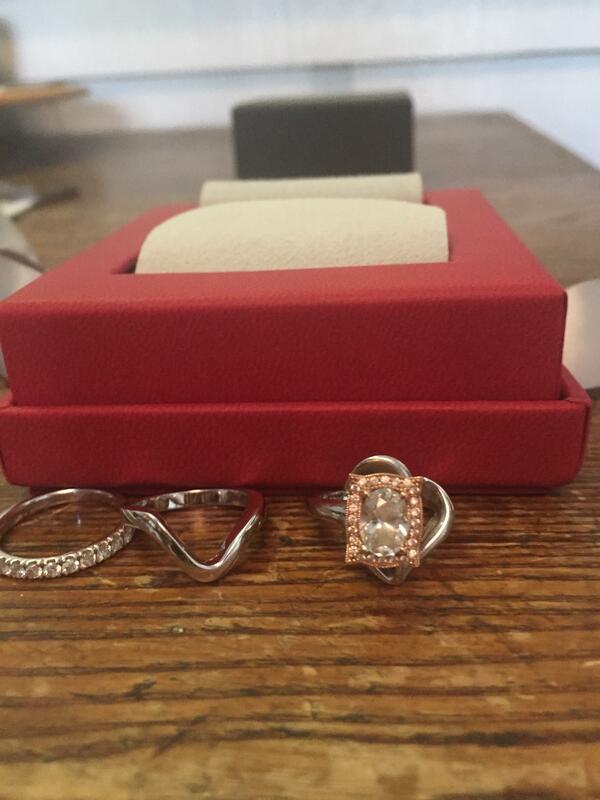 The diamonds are bead set in 14K rose gold rectangular halo with milgrain edges. 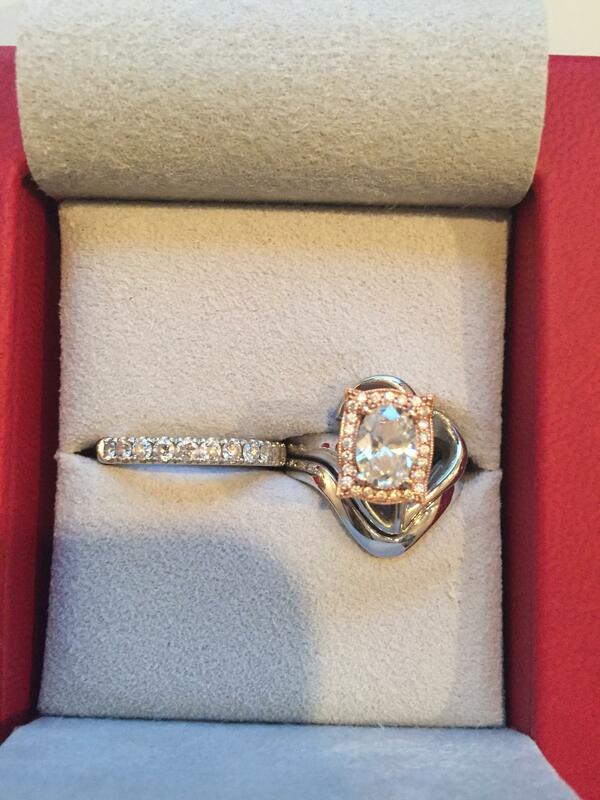 The engagement ring features a 14K white gold open filigree shank. Finger size 5.5 DWT 4.1. 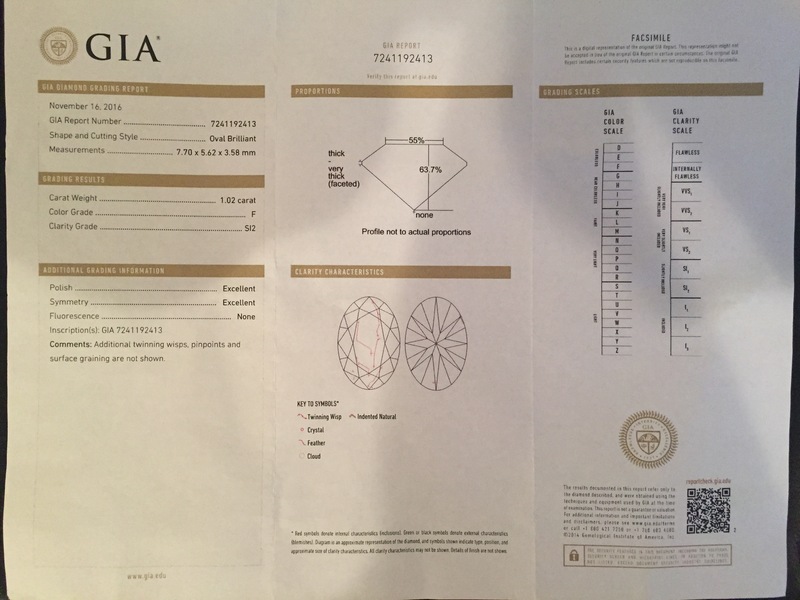 The diamond is graded by GIA, report #7241192413. 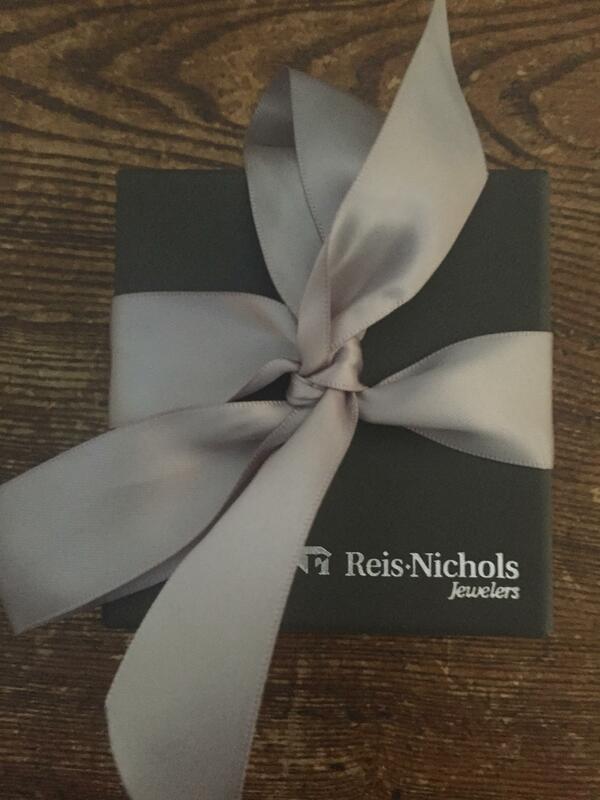 Also, included with the engagement ring is a matching contour wedding band in 14K white gold customed designed by Reis-Nichols, Inc. Finger size 5.5 DWT 3.4. 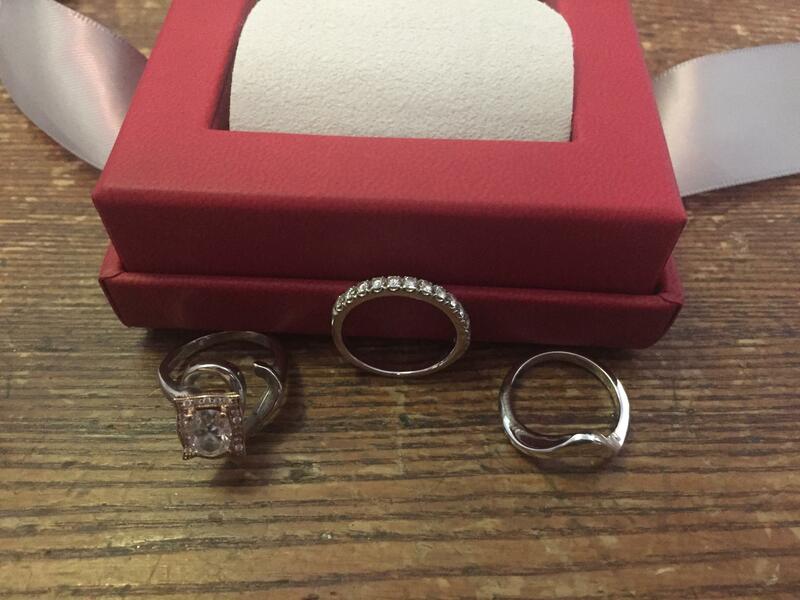 Lastly, included with this package is a 14 white gold diamond wedding band. The band features thirteen (13) round brilliant cut diamonds equaling a total weight of .50 carats, color G-H, clarity S12-11. The brilliant rounds are bead set.